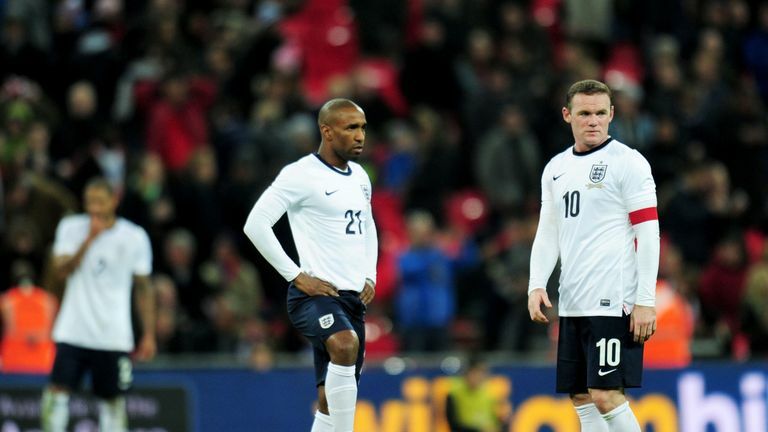 Jermain Defoe says Wayne Rooney's England return against USA will be a "really special moment" and believes he can help inspire the younger players in Gareth Southgate's squad. The match will be called 'The Wayne Rooney Foundation International' in support of his charitable interests and former England team-mate Defoe believes he can have a positive effect on the younger players in Gareth Southgate's squad for the game - live on Sky Sports. "What a guy and what a player," Defoe told Sky Sports. "What he has done throughout his career, for club and country, he has been a special player since day one when he burst onto the scene at Everton. "I think it will be a really special moment. I would like to go to see it because away from the football side, he is such a nice guy. "I spent a lot of time with him with England, getting to know him, and he's a lovely man. He deserves everything he gets. "Knowing Wayne, he'll go back into that squad a little bit nervous. He will want to impress people in training, that's what he is like, he loves his football. "The boys will love to see him and if I was one of those young forwards, I would be thinking 'if I can achieve even half [of what Rooney has achieved], then it's special'. "With players like that, you have to be a sponge, you have to think 'I am going to get a little bit from that'."